You’re lucky enough to have your bestest soul sista jet-setting to visit you in this strange Seoul Land for a lightning-quick trip. How can you foster authentic experiences that showcase this megacity in all of its awesomeness? Step #1: skip out on Seoul Tower. Trade in the long lines, crowded viewing areas and overpriced trinkets for your sneakers, fresh air and fortress walls. 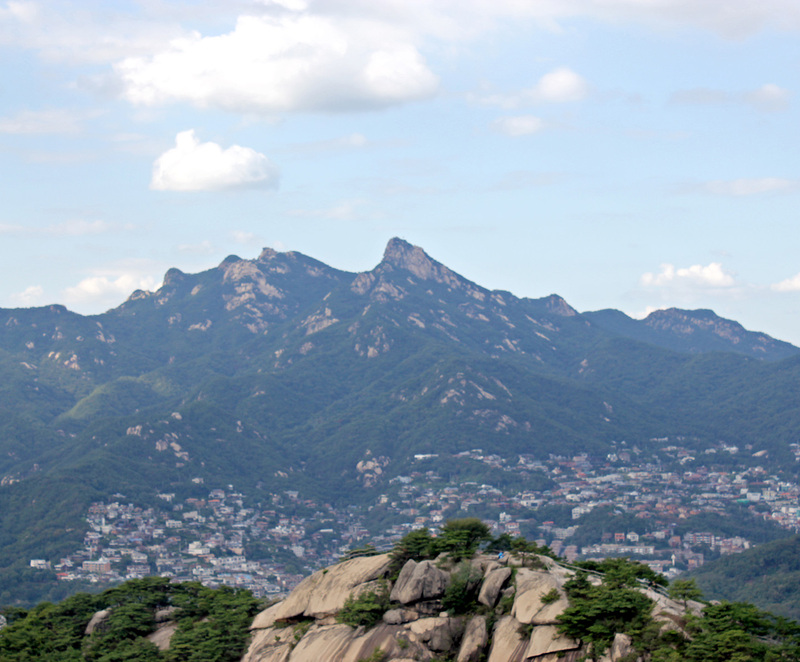 Hiking Inwangsan is essential to any Seoul itinerary. In my last post, I mentioned that hiking Suraksan was not the place to take the odd family member on a casual sight-seeing outdoor adventure. 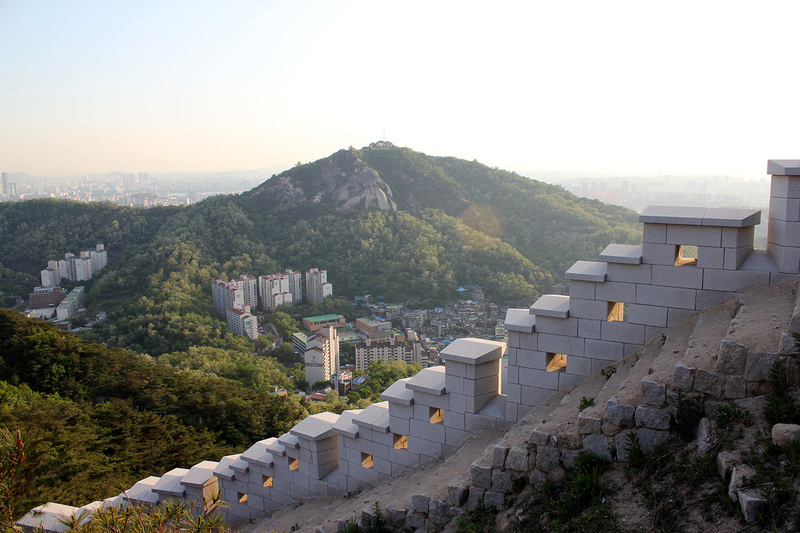 If Suraksan is too burly for the lethargic individual, Inwangsan is the perfect (and better) alternative to visiting Seoul Tower for superb panoramic views of Seoul. In all honesty, the last two times I’ve strolled along Inwangsan, I’ve been wearing a dress from the day’s outing! Trust me, it is a walk in the park. A variety of routes from the south require 30 – 45 minutes to make it to the 338 meter-high peak. Located close to the neighborhood of the palaces, Bukchon village and Insadong, it’s easy to add Inwangsan to a day of sight-seeing in Seoul. 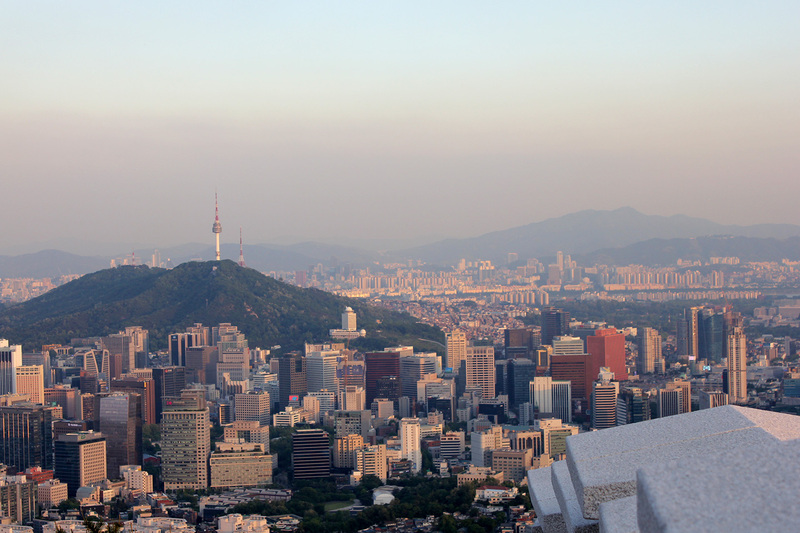 Despite being located in Northern Seoul, on a clear day, you can see directly across the city. 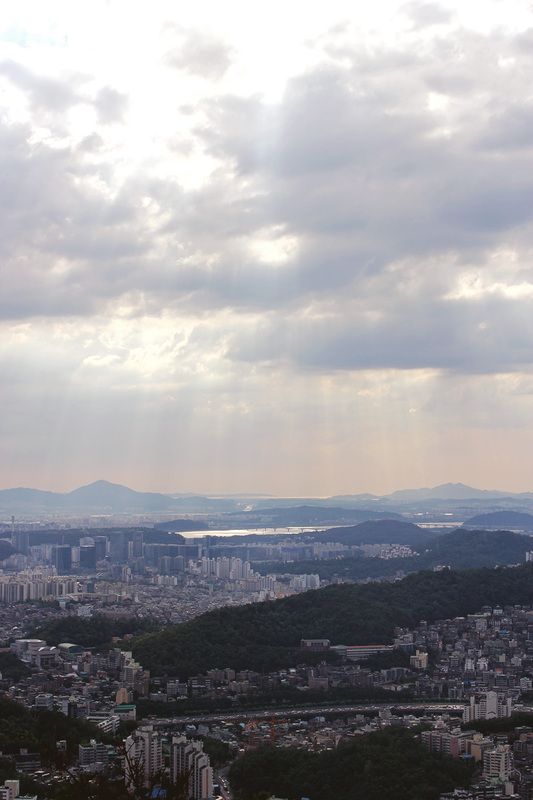 In the first picture below, the right-most mountain in the background in Gwanaksan, all the way in southern Seoul! 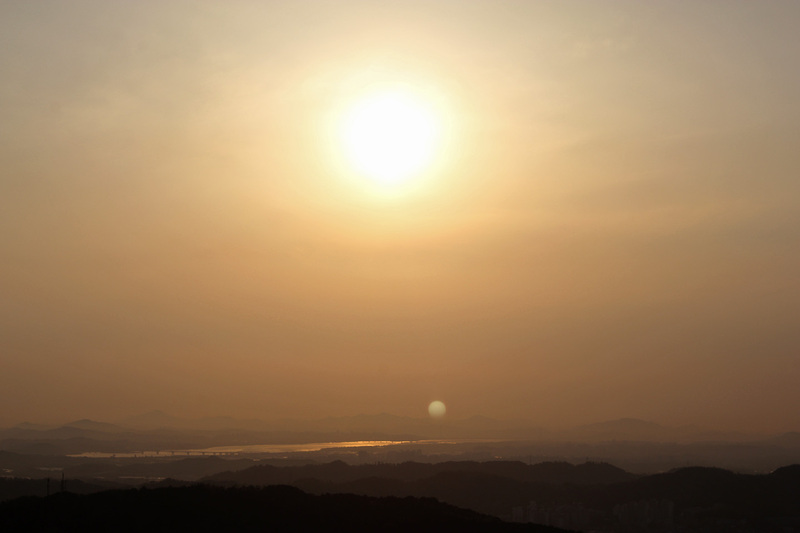 Additionally, to the north, you have great views of Bukhansan National Park, also pictured below. I’ve taken a different route up. Even without directions, it’s fairly intuitive to find your way to one of the trails that leads to the fortress wall from any of the surrounding neighborhoods. 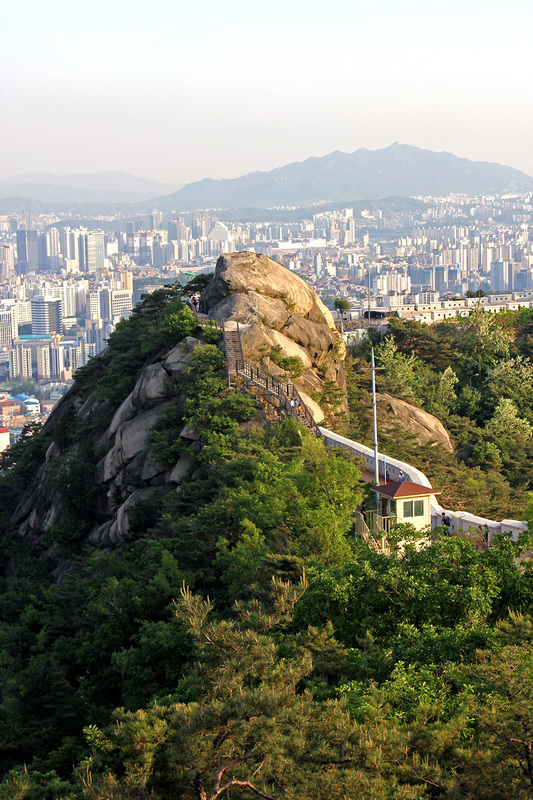 The easiest way to reach Inwangsan via public transportation is Dongnimmun Station: Line 3. There are pretty decent directions on the Korea Tourism site here.